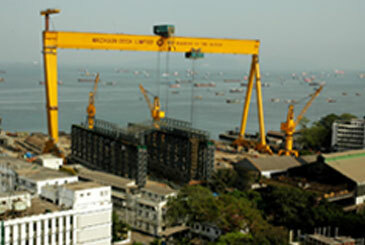 After its takeover by the Government in 1960, Mazagon Dock grew rapidly to become the premier war-shipbuilding yard in India, producing warships for the Navy and offshore structures for the Bombay High. It has grown from a single unit, small ship repair company, into a multi-unit and multi-product company, with significant rise in production, use of modern technology and sophistication of products. The company's current portfolio of designs spans a wide range of products for both domestic and overseas clients. Since 1960, MDL has built total 795 vessels including 25 warships, from advanced destroyers to missile boats and 3 subma8rines. 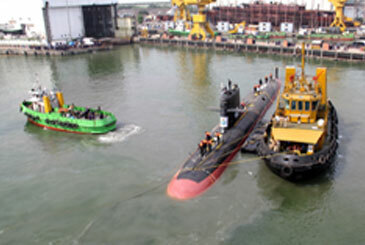 MDL had also delivered cargo ships, passenger ships, supply vessels, multipurpose support vessel, water tankers, tugs, dredgers, fishing trawlers, barges & border out posts for various customers in India as well as abroad. MDL have also fabricated and delivered jackets, main decks of wellhead platforms, process platforms, jack-up rigs etc.